Becuase of the year round calm waters and warm sea temperatures of 23-30 degrees Celcius in Cuba, watersports are available across the country with a variety of sport options. Popular off the sands of almost every Cuban beach is snorkelling to spot over 150 different species of fish which inhabit the seas around the island as well as sponges, goronians and the beautiful coral reef. Visibility averages 20-30 metres. Diving lessons can be found abundantly in Cuba with at least one school along the main beach in each resort. The main diving areas once you have mastered the basics tend to be the Archipelago de los Colorados in the northwest, the Sabana and Camaguey Archipelagos in the north, the Isla de Juventud and Jardines de la Reina in the southeast. As well as the incredible underwater Cuban wildlife to be seen, there are many underwater caves and shipwrecks to be explored - a testament to the years of piracy in the Caribbean. Off Isla de Juventud divers can see where the tectonic plate drops off as well as coral reef and immense black coral formations. 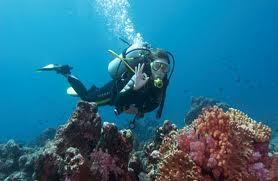 Diving equipment in shops is generally of good quality, however divers can bring their own equipment if they choose. Cuba also offers the opportunity for the more daring and experienced diver to head down to the depths and swim with sharks. 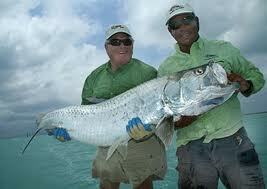 With so many bays and keys to explore around Cuba's islands, fishing is unsurprisingly popular. Different creatures can be found at different depths in different areas and migration patterns mean that fishing will always provide a variety of different catches. Freshwater fishing is increasing in popularity in Cuba, allowing a new wave of visitors to explore the ecological parks, rivers and lagoons throughout the country. Lower temperatures tend to be more conducive to better fishing. There are a number of marinas and ports in Cuba where sailing and boating opportunities can be found to enjoy a cruise along some of the Cuban coastline. Of all the watersports Cuba has to offer, surfing is probably a suprise to many as the waters are generally calm. To date it is not possible to rent a board, but the sport is slowly taking off. In the south of Cuba, bigger waves can be found when the weather in Cuba has its 'hurricane season': August to November. In the north, the better months are December to Feburary due to the strong trade winds. © 2010 Wistorm s.l. All Rights Reserved.